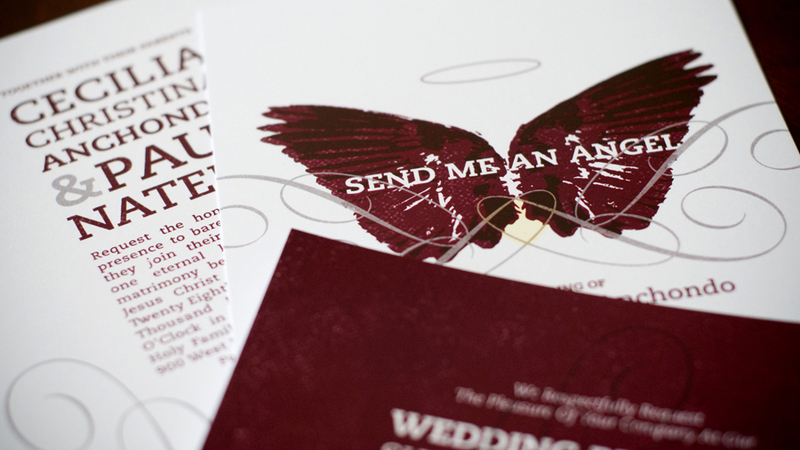 It’s always great to work with music lovers and when Ceci and Paul asked me to put together a wedding invitation package for them I was thrilled. When they met each other, for the first time, Send Me An Angel by Real Life was “pumping” on the house PA. 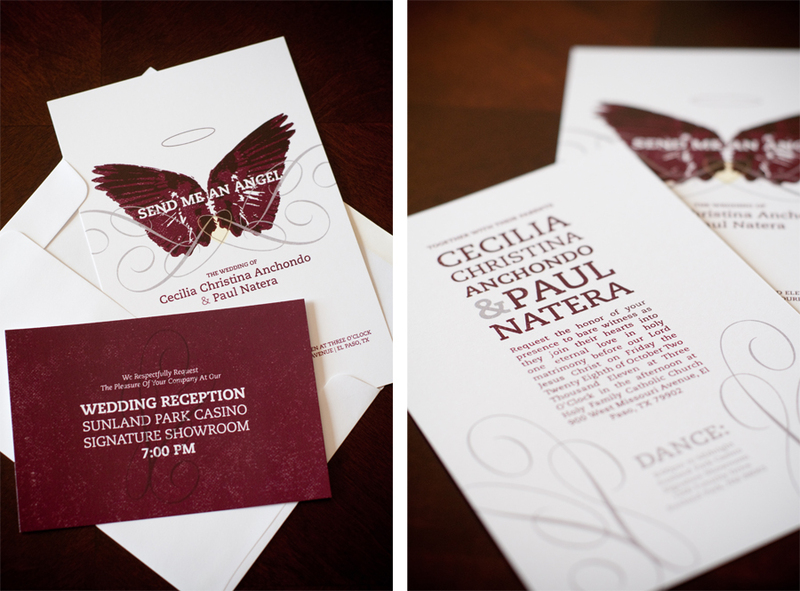 Incorporating the song into the concept of the design, Ceci and Paul received a personalized and conceptual invitational package that reflects who they are and who they will be as husband and wife. Good luck to both of you in your new life together.